With a Coronary ARTERY Disease Diet! How to stop coronary heart disease and keep your arteries clear? Why not just take high cholesterol medication -- “statin drugs,” e.g. atorvastatin (Lipitor), simvastatin (Zocor), lovastatin (Mevacor), pravastatin (Pravachol), or rosuvastatin (Crestor), to prevent coronary heart disease? Is it short-sighted to simply take this medication which reduces your cholesterol by blocking its production in your liver. Why? Researchers are showing why taking statins should, in most cases, NOT be your first choice. Why? Statins also block other things in you body -- not just cholesterol. These also DEACTIVATE "stem cells" throughout your body -- the very cells that help your body to regenerate! As a result, these meds speed up your aging process! Cholesterol an Innocent By-Stander at "Crime"? Cholesterol serves many important roles in the body. BUT, If over time, the inflammation persists and cholesterol can’t compensate, coronary heart disease sets in and cholesterol gets the undeserved blame. High Cholesterol Not a “Disease”? Somewhere along the way, a “correlation” got confused with the “cause." High cholesterol levels are simply a sign that there may be an underlying problem, but is not a problem of itself. High Cholesterol is only one risk factor for eventually, MAYBE, developing heart disease. In fact, studies have found that 75% Of Heart Attack Patients have NORMAL Cholesterol! Don't forget that cholesterol is a fat and that it is a fat that is needed by the brain for thinking and for memory. LOW Cholesterol, in fact, leads to memory decline. Higher cholesterol in people over the age of 50 and 60 improves cognitive function and memory. Why? Researches such as Dr. Pfrieiger discovered that cholesterol is actually needed by the neurons in the brain to work properly! 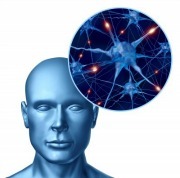 He found that nerve cells must have cholesterol to form proper contact points between brain cells known as synapses. Without adequate cholesterol, these synapses cannot transmit signals! Memory lapses such as forgetting where your keys are, getting lost going to the store, forgetting a birthday, is typically blamed on early senility, not on high cholesterol medication. But the truth is that memory problems and even amnesia, are grossly under reported side effects of high cholesterol medication. Why? Because people and doctors do not expect memory problems, so that they are typically blamed on nature, or on "old age." The most compelling evidence suggests that it is “oxidized” LDL cholesterol, and not just high levels of cholesterol, or even LDL cholesterol that causes the development of arterial inflammation. Scientists are increasingly reporting that inflammation and oxidative damage - not saturated fat or cholesterol - are the primary causes of heart disease. There is in fact, a considerable body of evidence which suggests that inflammation is a PRIMARY cause of heart attacks and strokes. If you want to prevent heart disease you will want to do everything you can to minimize inflammation and oxidative damage. What causes chronic inflammation in the arteries? Inflammation is the body’s emergency response to “stressors”-- noxious substances and injury. Normally, any “emergency” is taken care of by our immune system, so that white blood cells take care of any harmful substances, and the body can heal itself. A primary “stressor” in the arteries, according to scientists, is not cholesterol or even LDL cholesterol as such, but the “oxidative damage” to the LDL cholesterol (blood lipids) which then causes an inflammatory response. 1) emotional and other stresses, 2) poor nutrition: sugar, trans fats, oxidized LDL cholesterol, etc., 3) smoking and 4) inactivity? In the context of heart disease, these stressors eventually cause damage to the lining of the arteries (small lesions), so that white blood cells flock to “fix” these damaged areas. But because this situation does not “let up,” the arteries do not heal properly. This results in a “permanent emergency” called chronic inflammation. Does stress cause high cholesterol? Yes, it is part of inflammation. Chronic low grade inflammation eventually damages the artery walls, leaving them stiffer and prone to plaque buildup. Further inflammation makes any plaque that’s already there more fragile and more likely to burst. Eventually, as coronary heart disease sets in, inflammatory reactions within atherosclerotic plaques can induce clot formation. Researchers are finding that it is inflammation that leads to a reduction of mature collagen in atherosclerotic plaques, leading to thinner caps that are more likely to rupture. This is important because scientists say that it is not atherosclerosis alone, but the rupture of the “unstable” atherosclerotic plaques, that causes heart attacks and strokes. Stopping or curbing inflammation in the walls of the arteries, is increasingly considered to be a basic strategy for keeping arteries healthy, flexible and unclogged. Are there any “indicators” for you to know how much inflammation you have in your blood? High levels of CRP’s (C-Reactive Proteins) were found in the longstanding Framington heart health study to be the most predictive of future heart disease in comparison to other indicators. 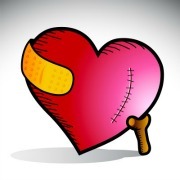 People who in their 40’s and 50’s had the highest levels of CRP’s were the most likely to develop heart disease. NOTE: High levels of cholesterol and high blood pressure were NOT as predictive! How to check inflammation in your blood? Your doctor can easily test for the level of CRP’s in your blood, which are “markers” of inflammation in your blood. 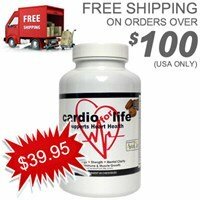 Yes, there is an ALL IN ONE supplement for coronary heart disease! We recommend Dr. Harry's FORMULA for inflammation, to stop worrying about a stroke or heart attack! You CAN get your vitality back and likely reduce your meds. You may be surprised at being able to lower cholesterol AND blood pressure with this TASTY powder instead of a handfull of pharmaceutical PILLS! What's the best Coronary Artery Disease Diet? Eating antioxidants from a wide variety of sources by choosing a rainbow of fruits and vegetables will ensure the greatest possible protection against the free-radical damage caused by “oxidized” blood lipids, or rancid fats. Long-chain omega-3 fatty acids from fish may be more effective that statins at reducing cardiac mortality. Chronic inflammation is for most people caused by too much sugar and high-fructose corn syrup and processed foods that lack nutrients and fiber, which leads to insulin resistance – a state of chronic inflammation. Changes in diet, such as lowering sugar, processed foods and increasing fiber, will reduce inflammation, and will reduce your belly fat -- the type of fat that’s been found to be inflammatory in itself. Eating the right omega 3 fats will go a long way to protect against oxidative degeneration of blood lipid or fats. Learn the basicsof the Mediterranean diet, the best heart disease prevention diet and best diet for high blood pressure, called the DASH diet. And for lowering cholesterol naturally, of course, eat your oatmeal (slow cooking oats) with ground flax seeds for breakfast. And don't worry, go ahead and add an egg or two for heart health! Be thankful and don’t fight with your family or friends. Researchers were shocked to find much higher plaque build up in the artery walls of couples who fought a lot, in comparison to couples who are more supportive of each other. New discoveries about the role of Vitamin D and K are major breakthroughs for preventing the buildup of calcium in the arteries and keeping them flexible. Both Vitamins D and K found to PREVENT buildup of the calcium which hardens the arteries. Reducing stress levels with natural supplements to reduce stress, anxiety and that promote sleep. Learn to BALANCE your HEART and your MIND! Yes. We wish you success in finding ways to RELAX and enjoy life! 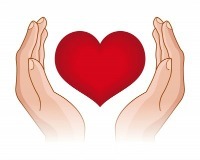 Find natural heart supplements and a coronary artery disease diet that works for YOU. Natural coronary heart disease treatments have come a long way, so make sure that YOU get benefit of all this science! CRP's as a predictor of coronary heart disease: Prospective cohort study of C-reactive protein as a predictor of clinical events in adults with congenital heart disease. Eur Heart J. 2018 Jul 12. doi: 10.1093/eurheartj/ehy362. Immunotherapy to Prevent Coronary Heart Disease: Immunotherapy for the prevention of atherosclerotic cardiovascular disease. Atherosclerosis. 2018 Jul 6;276:1-9. doi: 10.1016/j.atherosclerosis.2018.07.007. INFLAMMATION Increases Blood Clots (increased risk of venous thromboembolism, VTE) Longitudinal increase in blood biomarkers of inflammation or cardiovascular disease and the incidence of venous thromboembolism. J Thromb Haemost. 2018 Jul 14. doi: 10.1111/jth.14241.